Not only does Tuscany offer magnificent country villas for unforgettable weddings, but holds also some of the most beautiful Italian gardens: perfect for most romantic civil, protestant & symbolic weddings. Many couples in Italy celebrate a civil marriage and there is a huge amount of possible wedding venues for that special occasion. Be it a medieval castle, a luxurious villa or a historical town hall – a wedding in Italy is always something unique and simply magical! Among all those breathtaking locations, could you image something more romantic than getting married in a typical Italian garden in Tuscany? 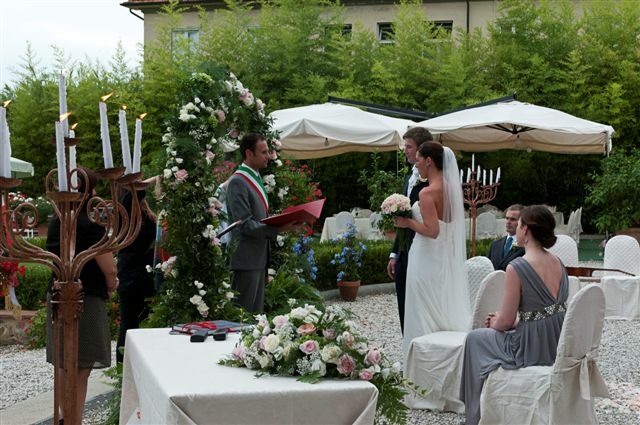 As there are only very few gardens that have a special permission for civil marriages, an Italian garden wedding is quite rare which makes it even more interesting. However we have a vast number of Italian gardens in our portfolio that are ideal for your dream wedding. An outdoor civil wedding in a Tuscan garden does not only have the space for huge wedding ceremonies with your family and all of your friends, but makes it also possible to design the ceremony and all the decoration according to your needs – for an individual and unique wedding that you will never forget.